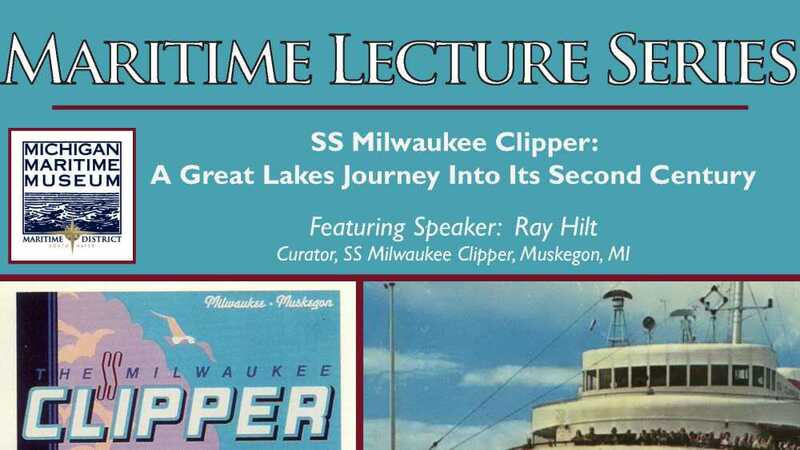 SS Milwaukee Clipper: A Great Lakes Journey Into Its Second Century Featuring Speaker: Ray Hilt, Curator,SS Milwaukee Clipper, Muskegon, MI Join the Michigan Maritime Museum andSS Milwaukee ClipperMuseum Curator, Ray Hilt for a fascinating presentation on the vessel that is a listed Historical National Landmark. The rich 115 year history of this Great Lakes passenger vessel will be told through historic photos, video, and artifacts that range her long life. Hilt will also discuss ongoing restoration and exhibit efforts byMilwaukee ClipperPreservation, Inc.